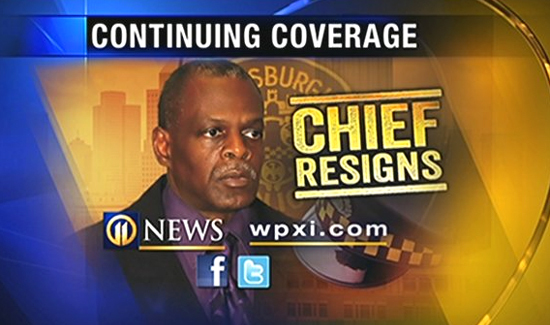 Former Pittsburgh police Chief Nate Harper is now in federal prison serving his 18-month sentence on corruption charges. According to Penn Live, a Pittsburgh-area man’s police chase has led to a sea change in police policy. Donald Burris Jr. will now walk on all but two minor charges in his criminal case stemming from an incident from January of 2013. There’s also a civil lawsuit pending against police in both Pittsburgh and Homestead as the result of the officers’ decision to open fire on Burris and his mother during a vehicle pursuit. According to reporting form the Associated Press, Allegheny County prosecutors claimed Burris ran a red light before crashing into other vehicles at about 2 a.m. before officers fired several shots into his car. Burris, a 33-year-old Carnegie man, was wounded in the arm. And a police bullet also struck Burris’s mother, Lena Davenport, in the head. Both Burris and his mother survived but the incident led to then-Pittsburgh police Chief Nate Harper to issue a new policy. The order indicated that officers were not to fire on moving vehicles unless the occupants fired upon police officers first. The jury acquitted Burris of aggravated assault and more serious charges. He was however convicted of fleeing police, AP reported. The Burris family has since filed a civil lawsuit against the police.